Details: The project is coming up at Hinjewadi in Pune spread over 10 acre of land. 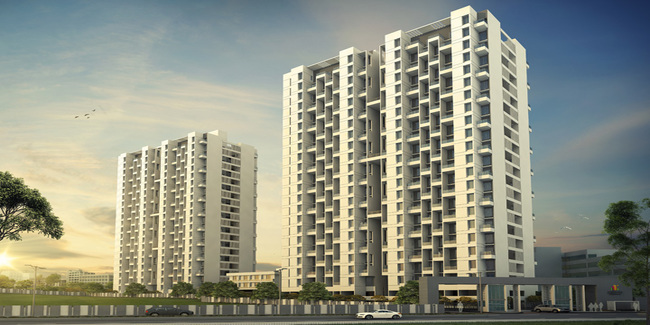 The projec offers 4 tower with G+21 floors, having 800 units of 2 and 3 BHK residential apartments. Apart from the basic amenities, the project offers Outdoor Play Area, Amphitheater, Theme Garden, Open Music Arena, Jogging Track, Book Reading & Hammock Park, Club House with Guest Rooms, Rainwater harvesting, Organic waste composter, Sewage treatment plant, etc. Kothrud, Pune - 411038, Maharashtra.